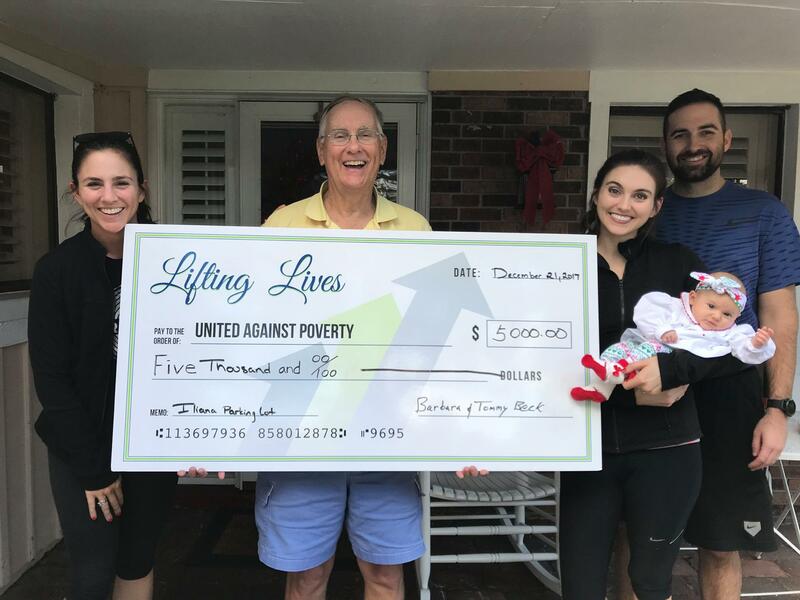 Tommy Beck has been a longtime advocate of United Against Poverty, faithfully serving on our Board of Directors for the past 10 years. For much of that time he fulfilled the crucial role of Development Chair, where he introduced countless new supporters to our mission and ensured the gifts entrusted to UP Orlando were always put to work in the most effective way possible. While he continues to remain active with our mission, Tommy retired from his committee chair position earlier this year, passing the torch to fellow Board Member Jeff Chandler to lead development efforts. Thank you, Tommy, for your continued dedication! Correction: In the print newsletter, it was said Tommy Beck is retiring from the Board of Directors. He is still faithfully serving as a Board Member for the organization. He is retiring his chair position.